What's Retrospective Planning Permission? It might be for you! Home » News » What is retrospective planning permission, and could it help me? What is retrospective planning permission, and could it help me? What is retrospective planning permission, and could it be an option for your home improvement project? Do you even need planning permission for your home development? We’ve created a handy guide about retrospective planning permission and why you need a reputable company for your next project. What is standard planning permission? 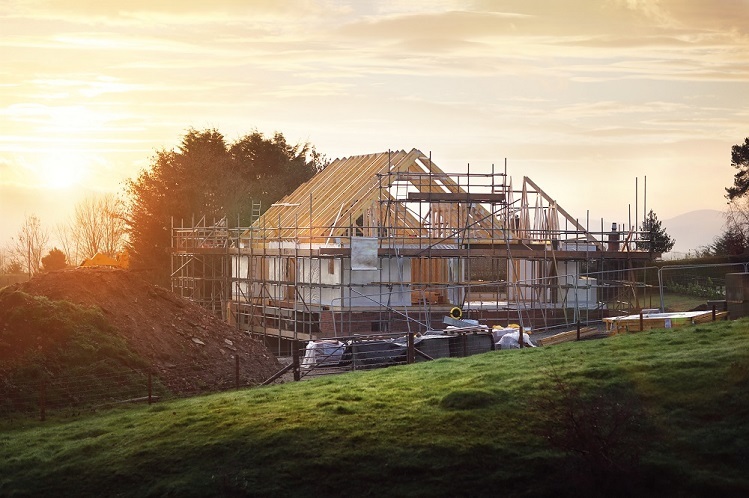 Planning permission is a legal process used by local authorities requiring any new building, structure or alteration to be authorised as a legal development. It’s a responsibility given by Central Government and came into existence with the Town and Country Planning Act 1990. Many issues are considered including the use of the development and the impact it will have on the area. Unless a development is considered permitted, it will require planning permission. Local authorities investigate any breaches of planning law and an enforcement notice can be given if any are found. These include not obtaining permission for listed buildings or changing the use of a building e.g. residential to commercial use. Retrospective planning permission is planning permission is sought after a development has been built. The local authority can also demand you submit retrospective planning permission if it’s discovered that it wasn’t sought before. It can be granted but there is a risk that it may not be. There is a possibility you could be fined or asked to alter your build. In some circumstance you could even be asked to demolish it or return it to its ‘permitted’ state. An appeal can be lodged to the Planning Inspectorate, but this can be a lengthy process. One of the more well-known examples of retrospective planning permission going wrong is the case of Honeycrock Farm in Surrey. The owner built a mock Tudor castle in 2001 without gaining planning permission. The castle was then hidden behind hay bales for four years, due to the belief that if it stood for that amount of time it would be legally allowed to stay. There is a law that allows a building to become lawful if it has been completed and used for four years. However, this didn’t work for Mr Fidler due to his attempt at hiding the development. Reigate and Banstead Borough Council served an enforcement notice requiring the destruction of the house which led to years of legal battles. They stated that the four-year rule was void as no one had been able to see the property for four years and the development was not considered finished until the hay bales were removed. After a High Court injunction, the house was demolished in 2016 and if this had not been followed, the occupant could have faced jail. What is considered permitted development? Permitted development refers to changes you can make to your home that don’t require permission. These include porches, interior remodelling, garage conversions, loft conversion and outbuildings with a maximum eaves height of 2.5m. Changes and developments that definitely require planning permission include extending near to boundaries, changes involving a listed building and dividing a property into two or more homes. Anything in-between can cause confusion as to whether planning permission is needed so it’s best to talk to your local authority. Have a look at this interactive tool to find out if you need planning permission for your project. Many can assume that sometimes it’s better to go ahead and say sorry rather than ask permission, but this can come back to bite you. In the majority of cases when it comes to conservatories, planning permission isn’t needed but building regulations are. What’s the difference between planning permission and building regulation control? As a general rule, planning permission involves how a new development will affect your neighbours, the local area and the environment. Spoiling a neighbour’s view or taking away some of their light can leave you open to legal action. The design is also important, if you live in an area full of country cottages and want to create an ultramodern looking extension, this could ruin the look of the area. Building regulations are more to do with the safety and efficiency of the build for those using it. This includes fire resistance, efficiency, ventilation, sound insulation and conservation of fuel. You have to demonstrate that your new development won’t be a massive drain on your heating and electricity costs. What can happen if I fail to get planning permission? Failing to obtain planning permission or not following all the rules it sets out is known as a planning breach. This in itself isn’t illegal, and councils can often offer a retrospective application. This doesn’t guarantee approval however. If the breach involves a previously rejected application or the retrospective application fails, an enforcement notice can be issued. This could ask you to restore your home to its original state. Ignoring this is illegal and could cause prosecution. If this all seems too confusing, leave it to the experts. Here at Oakley Green Conservatories, whether you want a brand-new orangery or kitchen extension, we’ll take care of any planning permission or building regulation control needed. By keeping you informed with its progress, you’ll always know what’s going on without having to do any of the hard work. Get in touch today to find out about our home improvements across the South of England from Bristol to Maidenhead.